I have had a pretty tough stretch at work, and as is the way with me, when the stress levels hit high, I have to make a choice to cut something out that might cause me some more. So, after a couple of weeks just looking at the comments, reading the posts and making a couple of observations, I thought I should contribute something. Thanks to Chris, Sean and Danny who kept the show on the road. I’ve been investing the hard-earned on some new furniture, most notably bookcases. I have also been investing in lots of cheaper books to fill them up. I’ve acquired a number of B&H/C&G Yearbooks as they become available cheap on the Amazon secondhand market. I also cleared out some of the old cupboards, and it was there I came across the contents of the title. A load of pictures from the Ashes tour of 2002/3. Most notably the Brisbane pics I’ve not seen for a while (and also from my visit to the Nou Camp, or Camp Nou, that year too). Back then, pre-parents death and with a bit more disposable income, the dreams of seeing great sporting venues filled my head. I wasn’t a little old 20 year old, but a 33 year old cynic! The excitement was immense, even though we knew we’d get stuffed. The photos are a terrific memory. I’ve now located the video Sir Peter made of the whole adventure and laughing at it again. I’m currently ranting about Day 1 as I write. Mark , in his comments on the piece below this, sort of strikes the current mood. 2002 was pre-T20 and so much an innocent world where no-one seriously questioned the primacy of test match cricket. Now, 15 years on, no series really seems to matter to the English cricketing psyche like the Ashes, as everything that happened this summer seemed to only matter in that context. The T20 world encroaches on the test scene more and more, where a great West Indies test win is buried under the Caribbean Premier League. The people want it. The cricket fan that sustained the game through the last three decades is cast aside. This has, from my perspective, been a dull summer of test cricket. South Africa were meant to pose a huge threat to the inconsistent England team under a new captain, but instead capitulated poorly in three of the four games (but absolutely slaughtered us in the other). They seemed a team confused with themselves – a bowling line up that worked a charm when it fired, but a batting line-up as fragile, if not more so, than England’s. All this was played to a backdrop of AB de Villiers egging his team on from home, while sitting out the series to rest for some other appointment at some other time in the future. there seemed something symbolic about the state of test cricket. England, a team in flux, with key weaknesses at 2,3 and 5 were easily beating a team that had a great away record, but who had seen their best batsman sit it out because he needs to make money and T20 will do it for him. I might react to his tweets because it seemed like he was having his cake and eat it, but I don’t blame him for making the choice. Joe Root got his captaincy off to the best possible start with a win and a big hundred. This was augmented by Moeen Ali taking ten wickets in the game, as the Lord’s surface took spin and South Africa’s batting took leave of its senses. 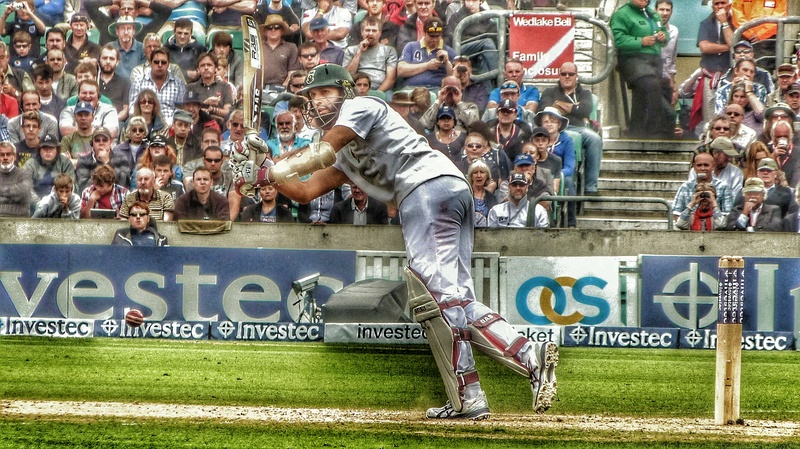 The second test was an almost bizarre role reversal, as South Africa took a big first innings lead after one of the most skittish test innings I’ve seen from an England team – as if we were on a time limit. The third test at the Oval saw one of those great knocks from Ben Stokes that we are going to need more and more of, while South Africa fell away (despite a terrific century by Elgar on the last day) and Moeen took a hat-trick to finish the match. The fourth test at Old Trafford went much the same way. South Africa couldn’t nail England down with the bat, but were brought to their knees by good bowling. The West Indies series was supposed to be 3-0. Good sides, in fact some not so good, would have hammered the visitors 3-0, but England infuriated us again by mailing in a test match at Headingley, and being done by Shai Hope and Kraigg Brathwaite. As someone rightly said, I’m not on the Shai Hope bandwagon just yet. It takes more than taking a couple of centuries off England to convince me he’s the real deal. He looks well organised, he looks to have the temperament, but he also looked at an 18 batting average pre this tour in 11 tests, I believe. Hope, Blackwood and Holder have made all their test centuries against England. The first test was an embarrassment to test cricket. England piled on a ton of runs against a Division 2 county attack at best. The batting crumpled in a heap. It was over inside three days. That Headingley was a remarkable turnaround, and we could actually watch much of the play over a Bank Holiday weekend (it will never catch on), had some of us reaching for our memories and hoping for the best. But like those old photographs, they are just that. Nice memories. The amazement that the West Indies could chase down 300 in a day at Leeds of all places was a chimera. It was nice to have a pop at idiots who want 4 day test matches, two divisions et al, but those voices are listened to, and ours are not. We go to Lord’s, we get a test lasting 2 an 3/4 days, where a larrup stand between Broad and Roland-Jones made the lead meaningful enough after the Ben Stokes show, and the same old problems manifest themselves. This is an era missing a great team. This is an era where if you have some level of talent you can accumulate some decent statistics. Jimmy Anderson, who has done superbly to reach 500 wickets, just to last that long to play all those games, was, at the beginning of the year a player who looked in terminal decline. He had pretty much fallen apart on the unforgiving surfaces of the sub-continent, but back home, probably a bit fitter, he made hay. But he wasn’t exactly up against the South Africa of Smith, Kallis and DeVilliers (and I would say an Amla not in terminal decline), nor the West Indies of a Chanderpaul being a constant pain. Jimmy does not need weak batting to feast – he used to have a lovely knack of getting out Sachin – but averaging 14 (?) this summer does seem to indicate the quality he was facing. A great bowler, and he is, feasting on the scraps. England’s oddly organised team, comprising a brittle top and middle order anchored by the current and ex-captain, need to be rescued by a ton of all-rounders and a lower order that can cause some havoc. In the absence of top order batsmen, it is a plan that has to work. There’s not a lot else we can do. We really are putting our hopes in magic beans, that we can pluck a batsman out of our domestic game who may actually be better at test cricket than he is at the county level. It’s a bit like the alchemy sketch in Blackadder II, or Rodney suggesting to Del that they try to make money out of nothing. As SimonH has pointed out in the comments on the end of the test, there’s not a lot to go on, inspector. I look at the Surrey team, and I hear people say Jason Roy. A man dropped from the ODI team for technical problems. He’s not pulled up any trees in his return to Surrey. To me, though, the test summer of 2017 will be the season I fell totally out of love with the social media side of the game. By that, I mean Twitter. It’s a very strange medium at the best of times, but this summer it has been rank. Utter garbage. People seem to want to take shots at each other, to be the smartest smart-arse in the room. Some have fully moved on to the journo side when they were fellow travellers not so long ago, and in some instances, forgotten where they’ve come from. Others just wind me up all day long with their need to be clever. I’ve muted more accounts this summer than in the past few years combined. People get irate when I say 5 out of 97 or 6 out of 103, when it’s a fact. People raved more about a 80-odd by Cook, as genuinely good as it was, than the 99 by Bairstow that played every bit as much of a role in a series clinching win. Cook has made one ton this summer. It was a mighty one, a long one, the first player in my memory to make four double hundreds for England. But we need a lot more from him as an all-time great. There will be more on Alastair later in the piece, as we have an Ashes series coming up, but he is symptomatic of the schism that still, really, exists. It’s moved on now to those who seem to live in a world where 2013/14 never happened, or at least the ECB and its nonsense needs to be forgotten, and those who can’t, or won’t forgive. The former seem to have gone back to being calm, observers of the game, only rising up when one of their own (a fellow England fan) has the gall to question. Blind obedience, or at least a recognition that you need to be in with the in crowd, is more important than critical evaluation. You have a point, and I will listen to it, and discuss. I won’t if you say my blog, and that of the team, has been put together solely to have a go at Alastair Cook. I don’t do blind obedience. I don’t do the “in crowd”. IMVHO, it’s a bit silly. Instead what do those on the other side of this schism do? We fade away. We post less. We certainly care less about England. We worry about test cricket. We worry that T20 hasn’t come close to maximising its destruction of the long-form of the game. We see no-one giving a crap about what we say. In many ways we, and our ilk had more a voice post-2014 Ashes that got heard. Now we don’t matter, if we mattered at all. Other than a place where we can lick our wounds, remember the better times, and hope for a saviour or two who place the test match at the heart of the sport we love. This place has always had something going for it. Never Being Boring. The cache of old photos still bring a smile to my face, as do my rants on Sir Peter’s video (the one about the bloke behind me and the Michael Bevan Asia XI v Whatever XI knock). The sport has given us joy. It still can do so. But it’s tough to love at the moment. The game started as most games seem to nowadays for England; with many people having no idea which players would be selected. Bayliss had again expressed his belief that England didn’t need to play 8 batsmen, which seemed to suggest Dawson or Finn would be coming in to replace Dawid Malan. Malan’s performance certainly didn’t fill watchers with confidence in the last game, but then again neither did Dawson. It eventually became apparent that despite the coach’s musings, England would announce an unchanged team. The same was not true of South Africa, who were forced to replace bowlers Philander and Morris with allrounders Olivier and de Bruyn due to injury. In a shock to many, it was dry and the game started on time. In Manchester. England won the toss, which given the rest of the series virtually guarantees that they will win, but apparently they still had to play a game of cricket first and so they elected to bat. Keaton Jennings fell quickly after edging a delivery from Olivier to the keeper for 17. It feels like this might be the last game for Jennings if he can’t make a score in the next innings, particularly if Trevor Bayliss can see Mark Stoneman play in the next week or two. Westley came in to partner Cook, and the pair made slow and steady (emphasis on slow) progress to the lunch break and beyond. The partnership came to a sudden end when Cook got a thin edge on a straight ball from Maharaj after playing a loose drive to a wide ball. As people who read below the line on the preview post will already know, this means that Cook now has 49 innings against South Africa and Australia since his last century. Three overs later, Westley lost his wicket after hanging his bat well outside the line to a short and wide delivery from Rabada. This meant the fluent Root was joined by Dawid Malan, another batsman playing for a place in the next series. Malan seemed to be in better shape than in the previous game, or perhaps the conditions being less conducive to swing helped him somewhat. Either way, it was an improved but still unconvincing second game with a few loose shots and near-misses before he eventually fell edging a wide drive to second slip just before Tea. Root and Stokes piled on the runs fairly quickly, but not without some risk. Root in particular was lucky to survive an edge which South African wicketkeeper de Kock watched go past. Fortunately for the tourists, Root only added another 12 runs as he fell for 52 runs to an LBW appeal. Root unsuccessfully appealed the decision, which suggests his judgment of such things is just as poor in front of the stumps as it is behind them. This put England in the familiar situation of having lost their last specialist batsmen for less than 200 runs, relying on their lower order to build an imposing total. Stokes and Bairstow obliged, putting on another 65 runs before Rabada bowled Stokes in the penultimate over of the day. Toby Roland-Jones came in ahead of Moeen Ali as nightwatchman but amusingly didn’t face a ball, leaving England on 260/6 at the end of the day. All of which leaves the game fairly evenly poised going into the second day. A quick collapse tomorrow and South Africa will be well ahead, if England’s tail can add another 100 runs or more then they will be happy. Either way, perhaps there will finally be a closely contested game in this series. Comments as always welcomed below.